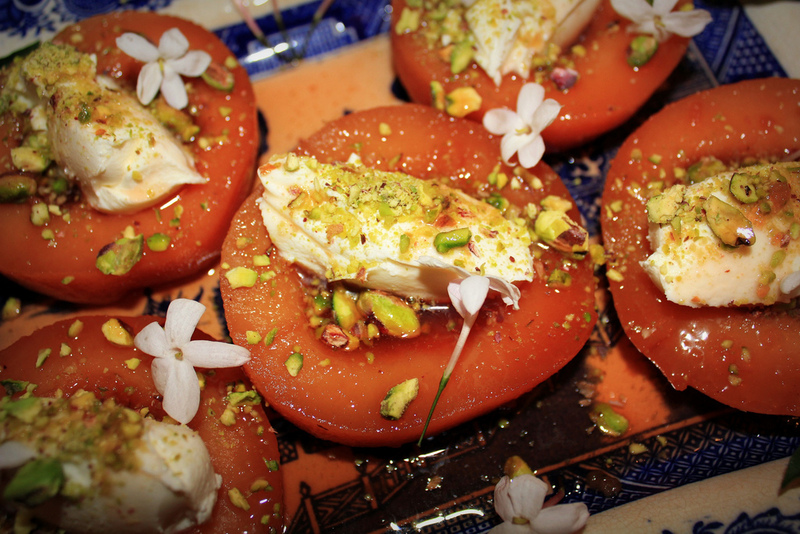 Inspired by my recent trip to Istanbul, I made use of this season’s quinces and poached them in Pomegranate syrup, serving them with Pistachio nuts, marscapone and jasmine flowers. Complicated? No, no. Really easy. This entry was posted in Creative Writing, Food, London, Mediterranean Culture, Travel, Turkey, Uncategorized and tagged Autumn, Mediterranean, Quince, Recipes, Turkish Deserts, Turkish Food by reikiandrocks. Bookmark the permalink. Amazing!! I really think you need to open a restaurant!! I am so craving Quince now! The prettiest meal I have seen.